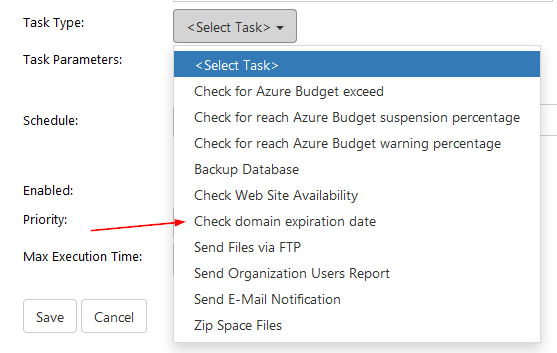 Then select Check domain expiration date task type from the drop-down menu. You will see extra options for this. Here you can select if you want to enable client notification and include non-existing domains. Then enter email address and select notification period.